One of the shots taken from Wang Yuanzhong's Starry Tibet in CCTV's program. Screenshot from Wang's Weibo post . China Central Television (CCTV) has been slammed for plagiarism of a freelance photographer's work and for its arrogant response to criticism. This isn't the first time that the state-run CCTV has plagiarized ideas  or others’ work in its programs. Instead of looking into the allegations, CCTV has told the police to investigate the photographer for scams, and domestic reports on the plagiarism dispute have been censored and taken offline. 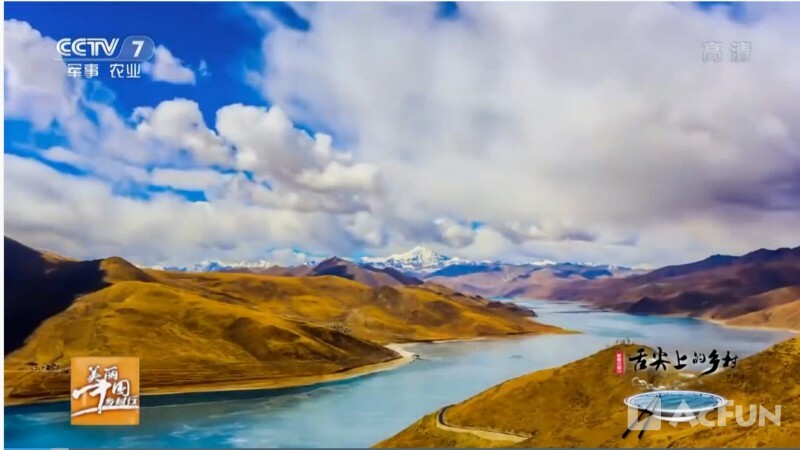 Wang recorded the phone conversation and embedded it in a blog post , explaining to the readers that the CCTV program plagiarized his time-lapse photography work, Starry Tibet, which was filmed in four different locations in Tibet in 2013. The challenging photos, which took him many days to shoot, were taken in adverse weather conditions and at an altitude of 5,000 meters. After Wang’s phone negotiations, CCTV changed its contact details from a phone number to an e-mail address on the program's official website. Later on the same day, Wang said on his Weibo that he was being intimidated  by CCTV staff, who claimed they would go to the Hubei police and ask them to investigate him for a suspected “scam.” His demand for compensation of 250,000 yuan was also rejected. As a search on Google news shows , some domestic media have reported on Wang’s troubles and unjust treatment, but all the reports seem to have been deleted without any explanations, returning “404 not found” on previously existing webpages. The CCTV program’s official Weibo account later published a clarification, in which they admitted  that the time-lapse photography they used in the show had actually been bought on Taobao, the world’s largest online shopping website. The statement referred Wang, but did not mention how much compensation they would like to pay for him. Although China National People’s Congress passed  the copyright law back in 1990, safeguarding their copyright is usually quite costly for an individual. Plagiarism victims usually get minute compensation, while most of them cannot afford the expensive lawsuit fees. Wang’s story is evidence that the individual, whose copyright has been violated by the authorities, is more often than not at a disadvantage.